Browse through our many stores in the Town Square (and elsewhere) and see why visitors love shopping in Waterville Valley! Offering high quality American made toys and games for fun in the summer sun as well as indoor activities for rainy days. Legos, Tech decks, Ty dolls, a HUGE stuffed animal section, and so much more! Now featuring their exclusive Sand Art Gallery. Come on in and make your very own sand art masterpiece! Located at the Golf Club. Fully-stocked pro shop features sportswear from Nike, Ping, Monterey Bay, and Fairway Golf & Resort. Golf clubs and bags from Tour Edge and Wilson. Speed carts from Sun Mountain. Need it? Waterville Valley Mercantile probably has it. 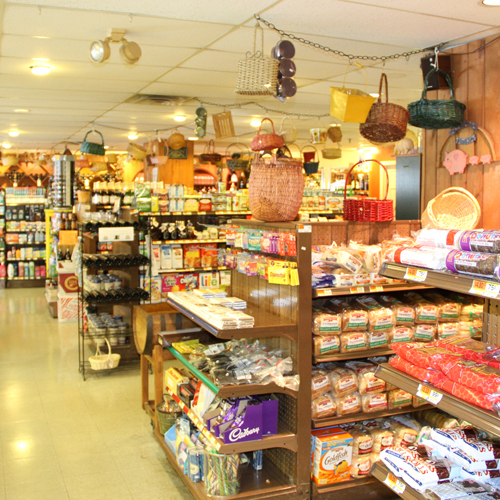 Step into an old time country store where the staff welcomes you with a nice smile that makes shopping fun. You’ll find everything from fine wines and specialty beers to fresh produce, cheeses and deli meats. And fun novelty items you won’t find anywhere else. Just a stone throw from wherever you are in the Valley. Located in the Town Square. Located at the White Mountain Athletic Club. 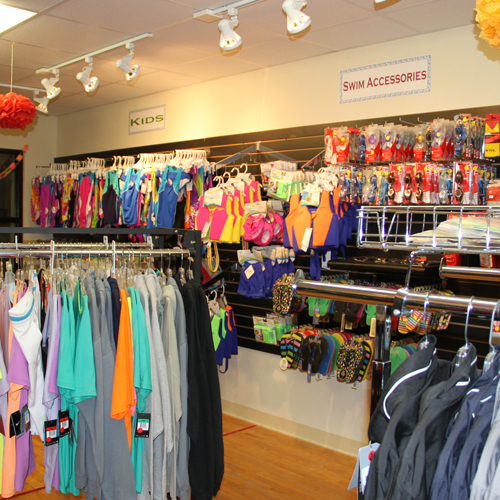 Bathing suits, swimming goggles and pool accessories, Waterville Valley logo wear, sweatshirts, upscale sportswear and sneakers. A full service mountain biking and hiking center with retail bikes and accessories, rentals, lessons and guided tours. Also offering a large inventory of retail clothing and equipment. In winter, the Adventure Center transforms into the Nordic Center for all your nordic ski, fat bike and snowshoe needs. Your one-stop shop for high quality gifts and home accents. Holly Yashi and Michael Michaud jewelry, Willow Tree figures, Hadley pottery, and wonderful made in New Hampshire products. Also carrying sundresses, straw hats and bags, and skin care products for fun in the summer sun. 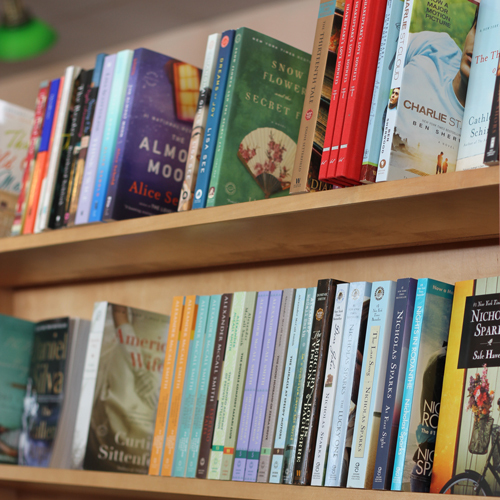 Providing a great selection of books for both adult and younger readers. Current bestsellers, regional titles, magazines, and plenty of books for young readers’ summer reading lists! Sport Thoma, at its 1829 Outfitters location in Town Square, has great 2016 additions to compliment their clothing lines. Now offering fishing gear for all ages, including complete fly fishing sets, kids spinning poles, plus spinners, bobbers, and other accessories. Kids kayaks and paddleboards offer more summer fun! There is a complete line of sunglasses, water shoes, sandals, swimsuits, shorts, tops, sweatshirts, hats, sunscreen, chairs, packs, belts, and other essentials. Plus, their Sale Room has expanded and features clearance items 30-70% off. The Sale Room features jackets, pants, sweaters, fleece, skis, helmets, goggles, gear bags, swimsuits, tee shirts, and more. Located at the Tennis Center. Nike tennis wear, sneakers, racquets, racquet repair and stringing services. Open spring to fall.